Our Finley 2 zip-up hoodies are designed to help you lounge in the ultimate comfort and also take you and Derek Rose out of the house in the most luxurious way. This 100% cashmere hoodie features a double ended zipper with carbon zip-pullers that are contoured to your natural fingertip curve and inset side pockets to keep your hands cosy and your belongings with you. The Finley 2 is part of our premium line of luxury, contemporary leisurewear, born out of the desire to craft an off-duty wardrobe that matches up to the highest sartorial and quality standards. Our philosophy is to use the finest materials and components, paying attention to every detail of construction, so that the resulting garment is both comfortable and stylish. 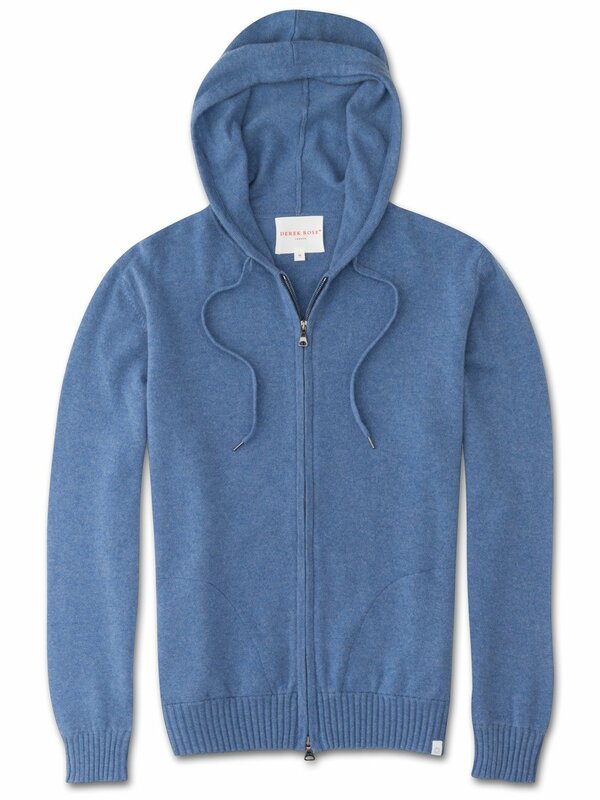 Seen here in a light blue, this has to be the finest way to stay warm during the colder months.